Millions of pounds of produce gets swapped for grain products across Ontario. 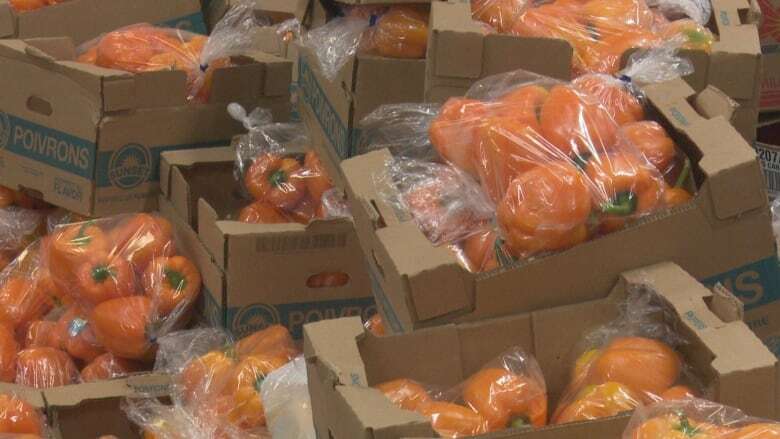 A well-organized swap of donated food sends fresh cucumbers, tomatoes and peppers grown in Windsor-Essex along Highway 401 to hundreds of food banks that are struggling to find fresh produce. In return, the Toronto Daily Bread Food bank sends items like boxes of cereal, pasta and soups back to Windsor-Essex. "It really has turned in to a wonderful reciprocal relationship," said Mike Turnbull, coordinator of the Plentiful Harvest Food Rescue Program at the Unemployed Help Centre. One of the partners, Leamington, Ont.-based Mastronardi Produce Limited​, has donated 1.13 million kilograms (2.5 million pounds) of fresh produce since 2014. "It helps them meet their need and helps us divert food from landfills, which is what we're all about," said Jen Wheatley, communications manager with Mastronardi Produce. The produce is also shipped up with frozen items from the Wheatley, Ont. Cavendish Farms operation. "We know there's a need there so we're very proud and it is important to us to give back to the community," said Jodi Rowe, technical services manager with Cavendish Farms. 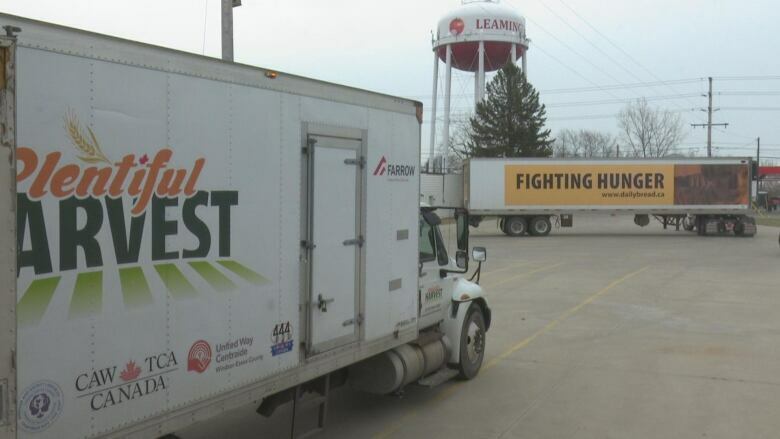 Rowe said they've donated more than 79,379 kilograms (175,000 pounds) of products like onion rings and battered vegetables in the past two years. 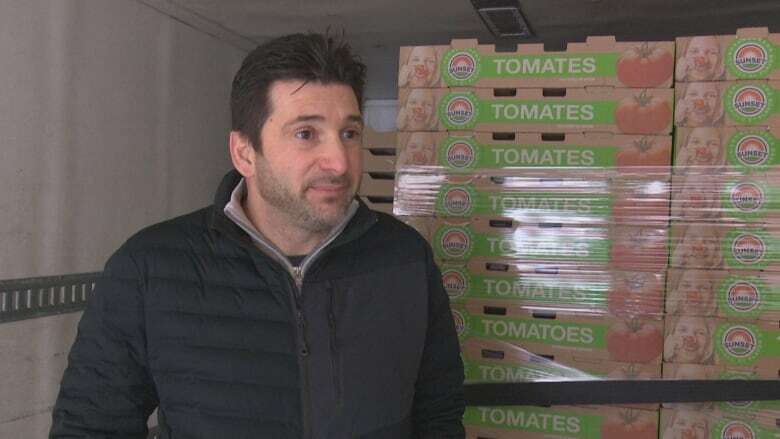 "We give them fresh vegetable and they give us some of their good stuff," said Ali Bazzi, the warehouse coordinator for the Unemployed Help Centre food bank. That good stuff is the pasta, cereal and other items that might be hard to come by among donations in southwestern Ontario. "There's so many food products that we desperately need here that we just don't have access to," said Turnbull. Turnbull said the weekly food swap helps hundreds of food banks and associations throughout the year, but specifically helps families that find themselves facing tough decisions. "Produce is so expensive for folks that are making decisions whether to put food on their plate or pay the rent," he said. According to Bazzi, increased use of food banks means donations go very fast. "A semi-truck comes in with 66 pallets and you think 'Oh my god, that's a lot food!" said Bazzi, but it empties quickly. Bazzi has noticed the increased demand at the Unemployed Health Centre and said they're serving more clients than they used to. He said they're not the only group that relies on those donations. "Everybody's lacking food. They're all in the same boat."